Near the end of last year, T-Mobile announced that it was buying Layer3 TV, an online television provider. T-Mobile said that it wanted to "un-carrier" the TV industry by offering its own service, and purchasing Layer3 was the first step. T-Mobile's acquisition of Layer3 is now complete, according to a press release from today. 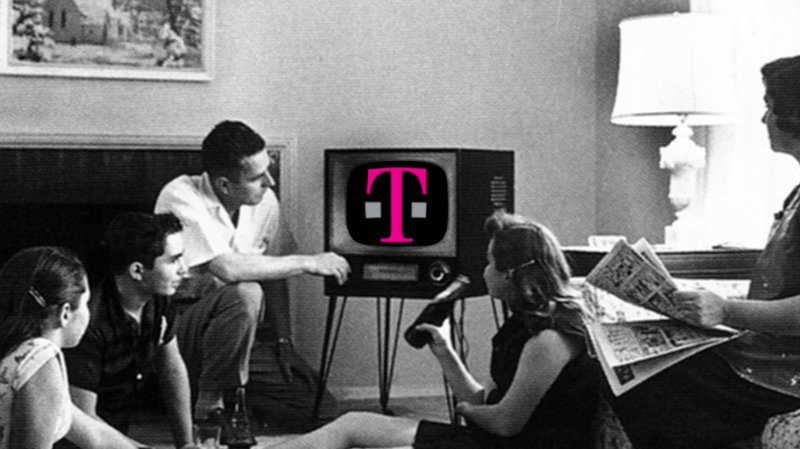 The announcement, unfortunately, doesn't have any details about T-Mobile's future TV plans. John Legere, President and CEO of T-Mobile, said in a statement, "I can’t wait to take the fight to Big Cable and Satellite TV on behalf of consumers everywhere!" The company's new TV team will be led by Jeff Binder, the CEO of Layer3. Binder is also joining T-Mobile's Senior Leadership Team. For the moment, Layer3 isn't changing. T-Mobile said it will continue to maintain the TV subscription while it works on a new product, and some retail stores start adding Layer3 demo units in the coming weeks. As of March 2017, Layer3 had about 13 million subscribers, and was the fourth-largest cable TV provider in the United States. Bellevue, Washington — Jan. 23, 2018 — Today, T-Mobile US, Inc. (NASDAQ: TMUS, “T-Mobile”) announced the completion of its acquisition of Denver-based television innovator Layer3 TV, Inc. The talented Layer3 TV team has joined T-Mobile and will drive the Un-carrier’s initiative to launch a disruptive new TV service in 2018. To be the first to know about T-Mobile’s new TV service when it launches, consumers – even AT&T and Verizon customers – can sign up at www.t-mobile.com/tv, and they’ll also get an exclusive offer when the new solution launches in their area.